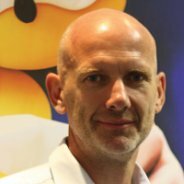 SEGA Europe boss Jurgen Post has confirmed to MCV that SEGA is working on a new Sonic game they plan to release in 2011. No more information was given, so we’re left to speculate. Could this be Sonic the Hedgehog 4: Episode 2? The untitled Nintendo 3DS game revealed in press documents at E3? Maybe it’s the heavily rumoured Sonic Anniversary game? This is the first official word SEGA has shared in regards to new Sonic titles for release next year and with the last of the latest games being released next month, could SEGA be getting ready to talk about their 2011 plans soon? If a report from Platform Nation is to be believed, we could be hearing something October 22nd. We’ll keep an eye open for any developments. For now, share your thoughts in the comments. Hot off the heels of today’s earlier rumours of a new Sonic Anniversary game and a new Mario & Sonic collaboration title, we’ve now got word from Platform Nation’s Scott diMonda that an embargoed Sonic game was on show at SEGA’s recent New York press event. The game is apparently a “sequel” and improves upon its predecessor. diMonda claims that details about this game will be released on October 22nd together with screenshots. Recently I had the opportunity to attend a Sega event held at the Shoreham Hotel in NYC and got a look at Sega’s upcoming lineup and yes there was plenty of Sonic to go around and there is one game I am particularly stoked for but due to an embargo I can’t talk about what I seen so I wont even tease you about the game as you will see my take on this sequel that is going to be well worth the wait and the improvements are noticeable right away, but that is for another day (October 22nd) and I promise to bring along some screen shots for your viewing pleasure. We’ve also heard from the guys at Sonic Reikai, who broke the initial rumours that the Sonic Anniversary game. The guys heard from SEGA of Spain reps that the game will play in 2D and 3D perspectives, just like in Sonic Unleashed and Sonic Colours. Take all of this with a grain of salt for now until we hear something solid or official. For now, discuss these latest developments in the comments. Thanks to Blue Comeback at the SSMB for the heads-up!